(August 21; Santa Cruz, California) Giro Sport Design has launched a new website (giro.com) with an updated design and user experience that aligns with their global brand experience as a design brand. Visitors to giro.com will find improved navigation with fewer clicks to find desired product and information more readily and easily. Additionally, the improved site will load pages approximately 45 percent faster. The newly enhanced website will also make better use of brand generated content, athlete photos and videos, and will feature imagery that best represents Giro's premium product line. More and more consumers are using mobile devices to access Giro.com (link), and the Giro team has addressed this by making the site a better mobile experience. In the coming weeks, Giro will continue to make improvements to the user experience by updating the About Us page with new brand video content, adding fresh and clean Fit Guides, as well as a Goggle Lens Tint Selector that that will help aid consumers in their buying decision and experience. Visitors to giro.com can expect to see the second round of enhancements completed by the middle of September. "The new website's enhanced functionality along with the 2015 new product assortment represents everything that Giro stands for." said Giro Brand Manager Brendan Murphey. 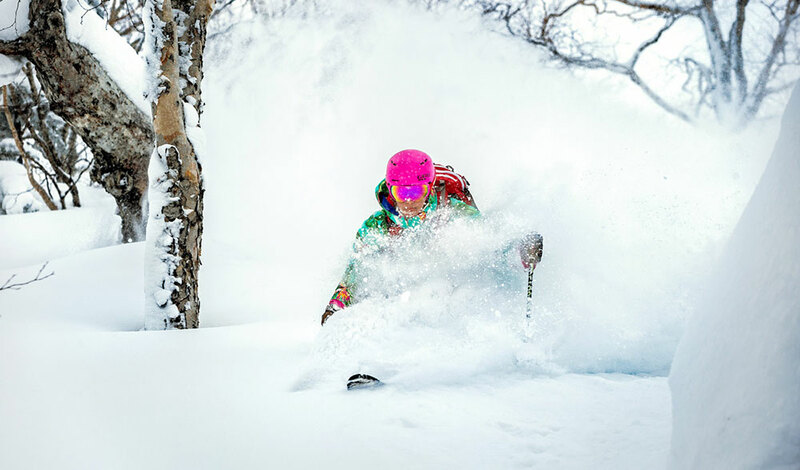 "Giro is a new kind of outdoor adventure brand with deep roots in design, and everything about the new website is clean, simple and without unnecessary distraction to perfectly complement and introduce our 2015 helmets and goggle product line." The 2015 Snow product line additions are the Discord helmet, expanding Giro's innovative Soft Shell Construction range of helmets. Further additions to the helmet range include the Nine series, which has been a milestone in Giro's history of lightweight, performance in-mold technology snowsports helmets. New for 2015, Giro continues to strive for product evolution and extends the Nine family with three additions and enhanced features; Nine, Era, Nine Jr.
Giro has also added new EXV (Expansion View Technology) goggle styles to the line – the Compass and women's specific Field goggles. For 2015, these smooth, mid-sized additions to Giro's EXV (Expansion View) collection feature a vast, wide-angle field of view for better vision in all conditions delivered via spherical Lenses by ZEISS optics with incredible optical clarity. A cushy triple-layer face foam plus Seamless Compatibility with all Giro helmets make the Compass and Field a top choice for skiers and snowboarders looking for a slightly more compact yet full-featured EXV style.